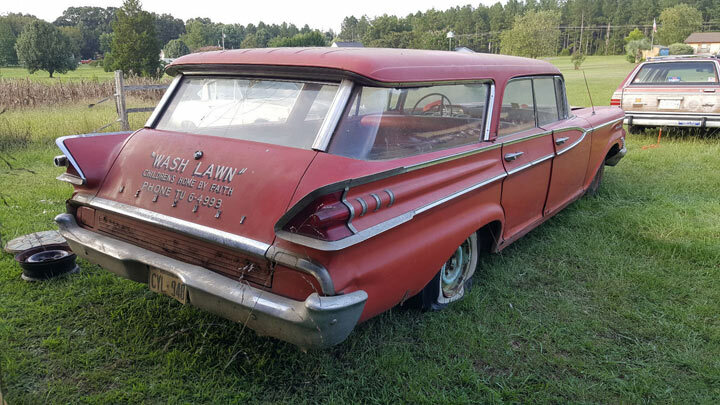 A good amount of rust is evident which the seller says is contained to the body only including the lower quarters, bottom of the drivers door, rocker panels, and eyebrows of the front fenders. There is also some light rust reported in the bottom of the tailgate. 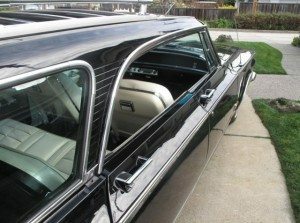 NOS eyebrow repair panels as well as new lower quarters are included in the sale to help get your project started. 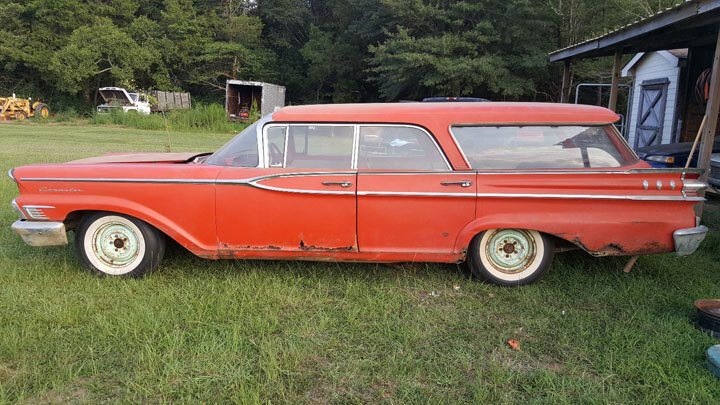 Despite the body rust, the seller describes the frame and floor pans as rock solid. 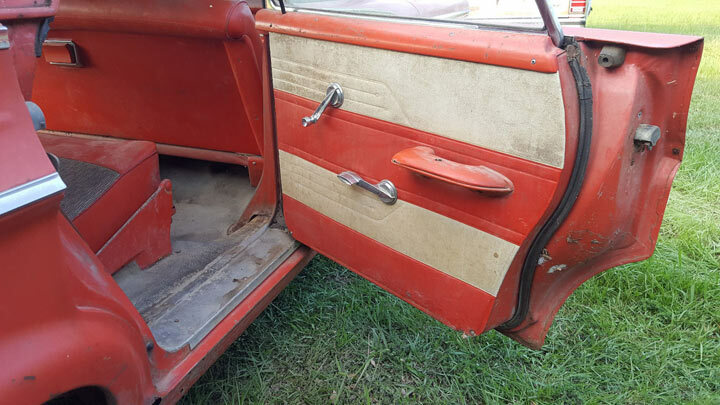 The door panels look to be in pretty good shape and may just need a good cleaning. 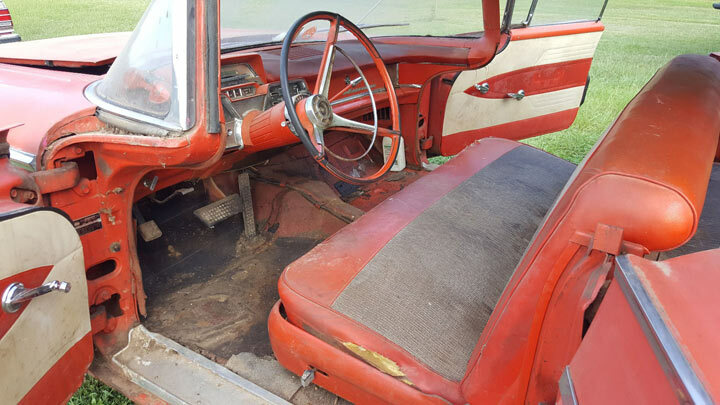 Fabric wear and soiling on the seats will necessitate new seat covers but the padded dash is said to be in pretty good shape. Chrome is solid and will need to be redone and the intact trim will likely need to be polished. 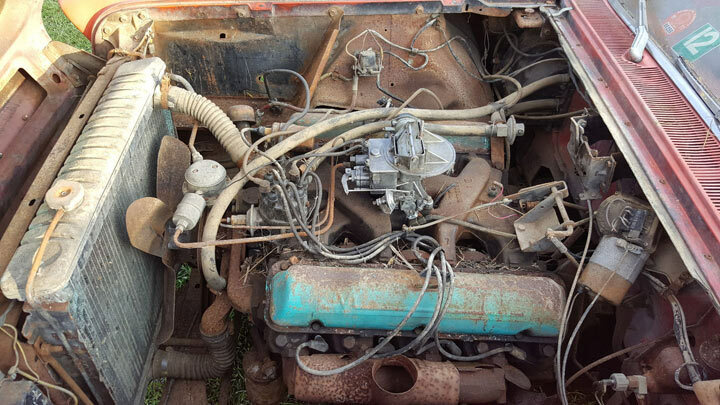 The seller rebuilt the carburetor and oiled the cylinders enough to start the 383 V8 but hasn’t run it for any period of time as the cooling system will need work. 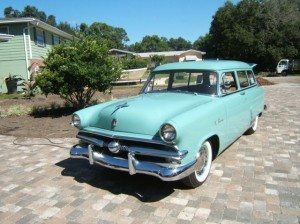 The wagon is equipped with a 2 speed automatic transmission and the other options include an AM radio, Lever Temp heater, padded dash and a power tailgate window (not working) Power steering, power brakes and a clock were not part of the original equipment. This is a major project but how rewarding would it be bring this beauty back! 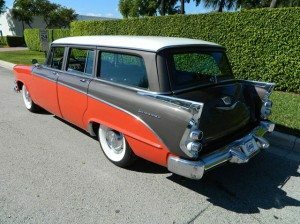 The asking price of $5,500 doesn’t seem too out of line for a complete and desirable wagon like this ’59 Mercury. 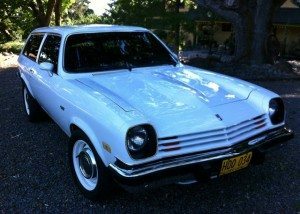 I wish I had the money that this beautiful car deserves. Something ’bout a Mercury.